Diarrhea is the condition in which a person suffers frequent passage of loose, watery and unformed stools. People from any age group can suffer from diarrhea and it occurs when the intestine is not able to absorb water from the food consumed.Water is either not absorbed properly or there is excess of water secreted by the organs which results in loose and watery stool. If diarrhea is continued for long period of time, it will lead to dehydration and loss of various minerals in the body and make the patient extremely weak. Yogurt specially the live cultures yogurt, helps in restoring the "good bacteria" in your intestine and destroy the "bad bacteria" causing the diarrhea. 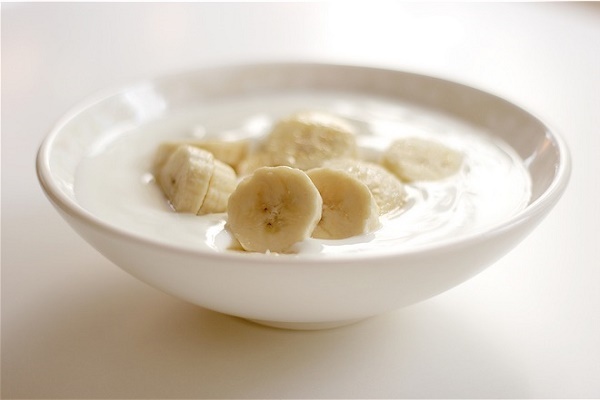 A combination of yogurt and banana is highly beneficial in treatment of diarrhea. Bananas are bland and easy on the stomach. They are rich in potassium, which will help counter the loss of nutrients from diarrhea. Take 2 bananas and peel them off and cut into small pieces. Now mix these pieces in one bowl of yogurt. Have this once a day until you completely get cure from diarrhea. Roasted cumin seeds with yogurt after meal also helps to improve digestion and cures diarrhea. Take one teaspoon of roasted cumin seeds and mix with one bowel of yogurt. Have this at least once a day. 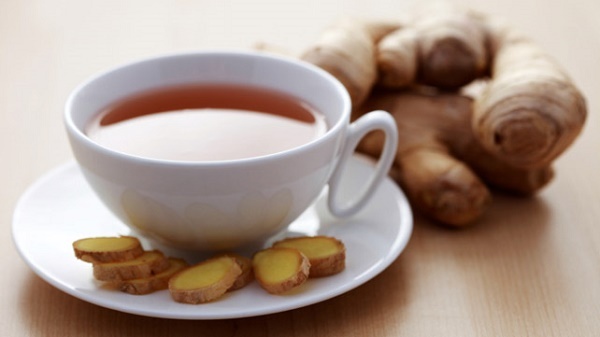 Ginger tea is considered very helpful to cure diarrhea. You can prepare ginger tea at home simply by following given instructions. Add one teaspoonful of ginger in boiling water. Consume it when it becomes lukewarm. This should be taken after 2-3 hours for better results. You can add some honey to improve the taste and effect. Make a mixture of 1/2 teaspoonful of ginger juice, 1/2 teaspoonful of lemon juice and 1/4 teaspoon of black pepper powder. 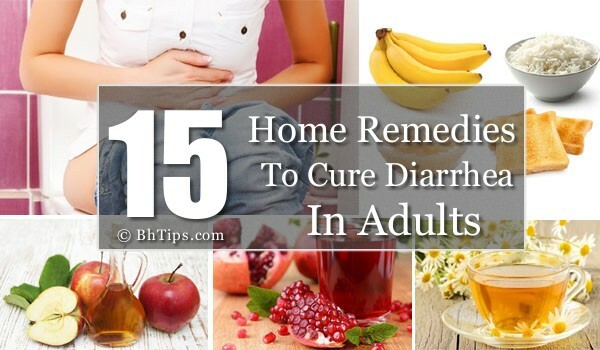 This Home remedy is also very beneficial to cure diarrhea. Apple Cider Vinegar is an excellent natural remedy for diarrhea since the high pectin concentration acts as a protective coating which soothes the irritated lining of the colon. 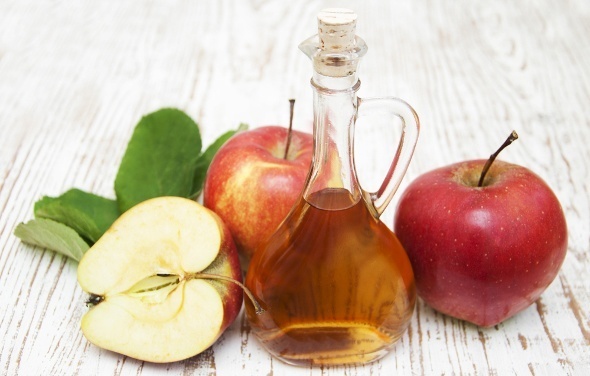 Take 1 teaspoon of apple cider vinegar in a glass of water. Drink this with each meal to get relief from the symptoms of diarrhea. Fenugreek seeds are one of the best natural cure for diarrhea. 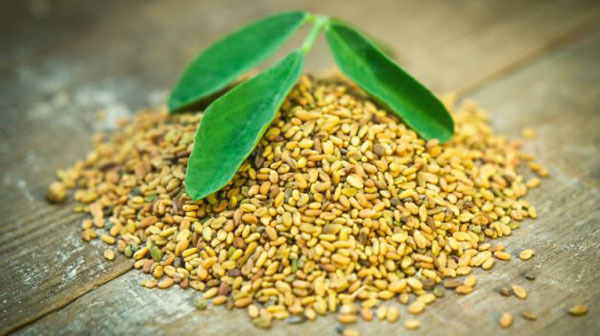 To enhance the effect of fenugreek seeds you can consume them along with some roasted cumin seeds and yogurt. Take 1/2 teaspoon of fenugreek(methi) seeds and add 1/2 teaspoon of roasted cumin seeds. Grind them well to make a fine powder. Now add 2 tablespoon of yogurt to it. Have this mixture three times a day for quick and fast relief from diarrhea. 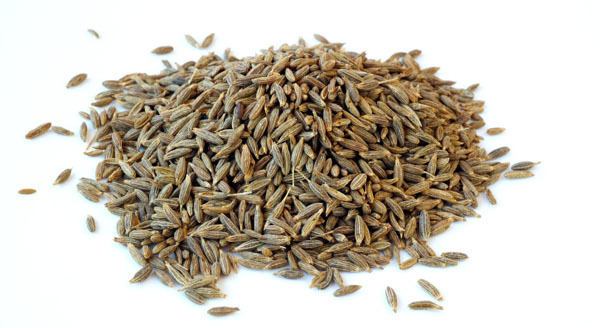 A combination of fennel(saunf) and white cumin seeds is also very helpful to cure diarrhea. Take fennel white cumin seeds in equal amounts. Roast this mixture and take this in a dose of 3 grams about 1 teaspoon with water. Have this after every 3-4 hours. 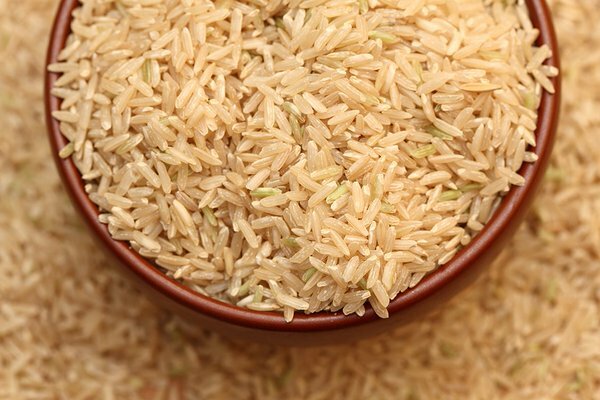 Brown rice are also very helpful to cure diarrhea. To get relief from diarrhea you need to follow the given instructions. Cook brown rice in water for about 45 minutes. Once cooked add a pinch of salt and strain the mixture. Have the rice and drink the water in which the rice has been cooked. 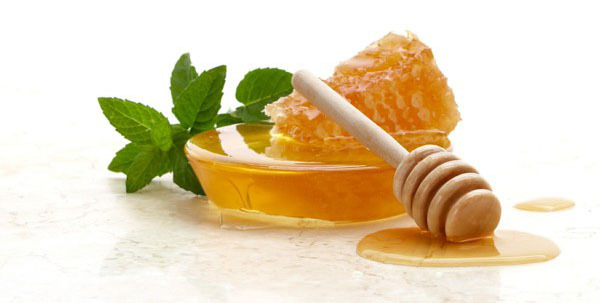 Anti-bacterial properties of honey are considered very effective to cure diarrhea. Take 1 teaspoon of honey and mix in 1 glass of lukewarm water. Drink this at least twice a day to cure diarrhea. 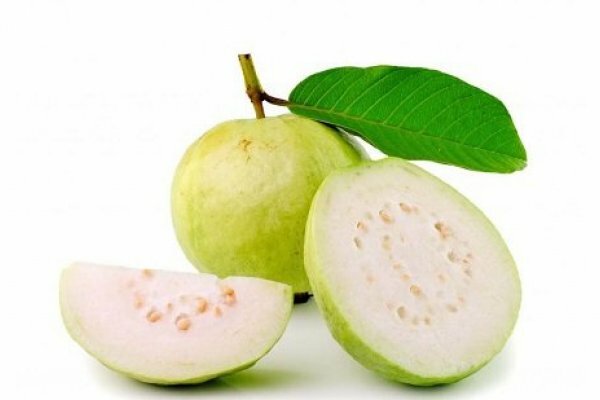 The Astringent properties of guava are very beneficial in treatment of diarrhea. The astringents compound in guava helps in binding the loose bowls and make it stay longer inside stomach. To cure diarrhea you can eat Guava or drink guava juice. Alternatively, you can use guava leaves to cure diarrhea by following given instructions. Boil the clean leaves of the guava tree in some water by adding a pinch of salt. Drink the half cup of this water after every 3-4 hours to cure diarrhea. The astringent properties of pomegranate are very beneficial in the treatment of diarrhea. The strong antioxidants present in pomegranate helps in clearing the toxins causing various stomach problems including stomach ache, indigestion and diarrhea. 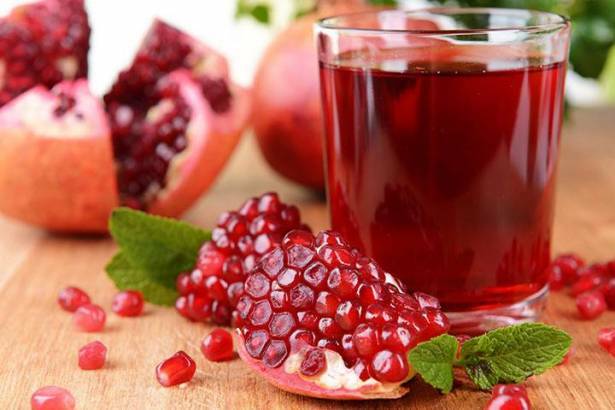 Patient should be given repeatedly about 50 ml of pomegranate juice to drink. This will help a lot to get relief from diarrhea. Take 1/2 kg about 500g of carrots. Wash them and cook in 150 ml of water until it is soft. Strain the pulp and add some boiled water to make a liter. You can mix half tablespoon of salt. 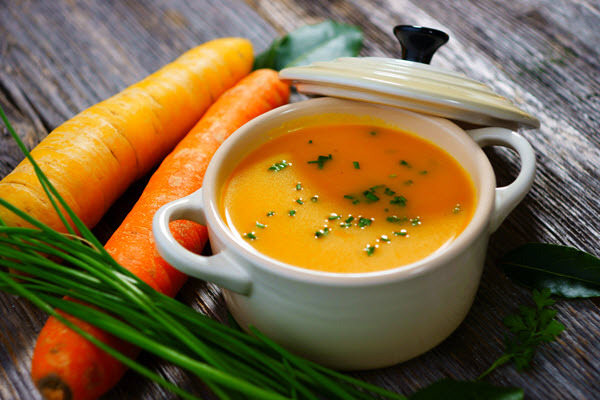 You should give the soup in small amounts to the patient after every half an hour. 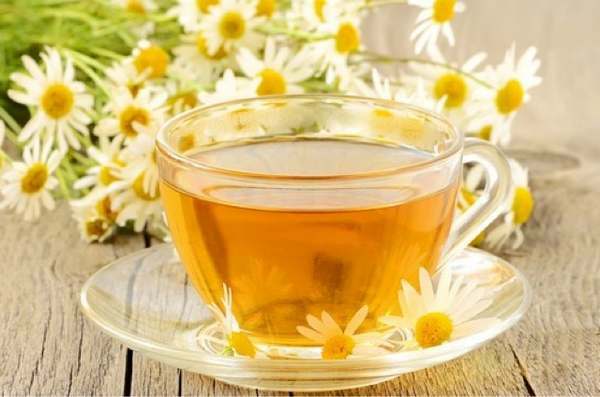 Chamomile tea has been used to treat various intestinal and stomach problems, like diarrhoea. You can by chamomile tea bags from any grocery store or can prepare chamomile tea at home simply by following given instructions. Add one teaspoon of chamomile flowers in one cup of water. Put the water to boil and add one teaspoon of peppermint leaves in it. Consume this natural herbal tea 3 times a day to get relief from diarrhea. Peppermint tea is also very helpful to cure diarrhoea. 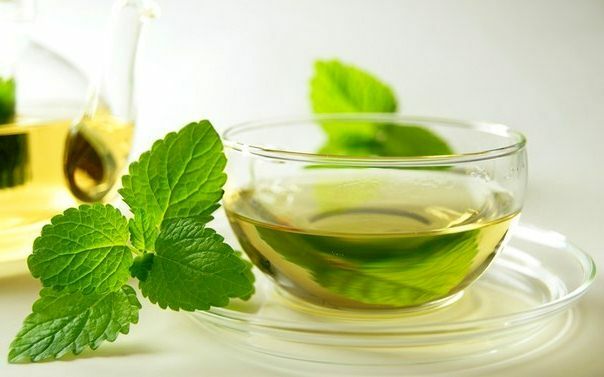 You can prepare prepare peppermint tea at home simply by folowing given instructions. Add 3-4 leaves of peppermint in boiling water. Add a little honey to improve the taste and effect. Strain it and drink it slowly when it becomes lukewarm. BRAT stands for Bananas, Rice, Applesauce and Toast. 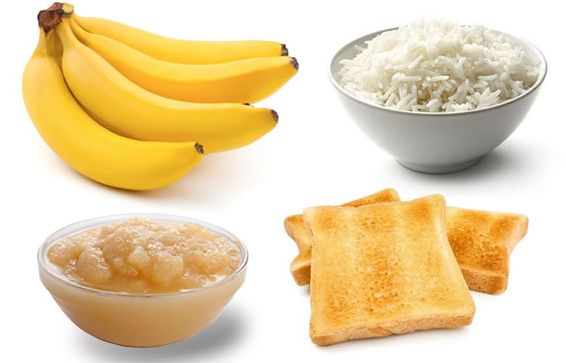 BRAT diet helps a lot to recover from an upset stomach or diarrhea. BRAT diet is a low-fiber foods that can help make your stools firmer. BRAT diet along with plenty of fluids and ORS (Oral rehydration solutions) is recommended to diarrhea patients to replace the depleted electrolytes and to avoid salt imbalance. (i) Avoid foods that are high in fiber, such as beans, bran, prunes, oatmeal and avocados. (ii) Avoid the juices which have the laxative effect like apple or pear juice. (v) Drink as much water as possible to keep your body hydrated because diarrhea can deplete your body of water and essential electrolytes. Carrot juice and ORS solutions are very beneficial to replenish lost water and electrolytes. (vi) Above home remedies are not substitute for medical advice. If you don't get relief by following above remedies then you must consult your problem with a medical doctor. (vii) Symptoms of diarrhea varies from mild to severe, in case of severe symptoms you shouldn't rely only on home remedies, instead you must consult your problem with a medical doctor.